The Box of Awesomeness 2013 Release 5 - "Airsoft Right Edition"
Serving our fans best was easy, but serving you better is the true significant and never-ending goal of Evike.com. 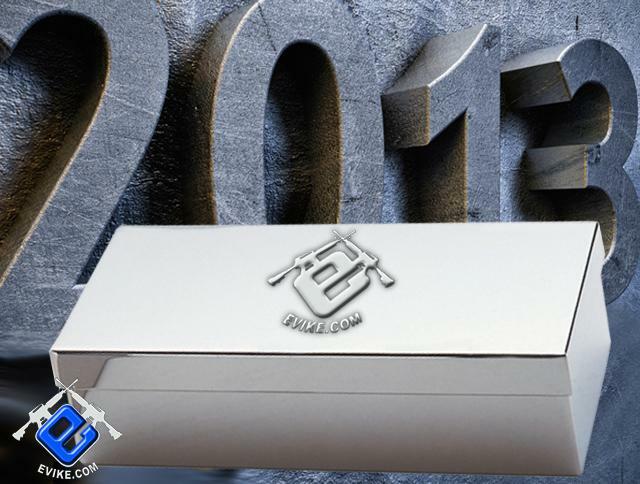 "THE BOX OF AWESOMENESS" project created back in 2009 is a token of our appreciation for your support and our effort to better the sport of Airsoft. We would also like to take this opportunity to remind the Airsoft Nation to be responsibly, respectful and play safe. Airsoft is the most participated sport in America today because the Airsoft Nation is composed of responsible and respectful individuals. We are committed to continuous upgrades and optimizations of our processes to better enhance your Airsofting experience! Let us know how we can better serve you! 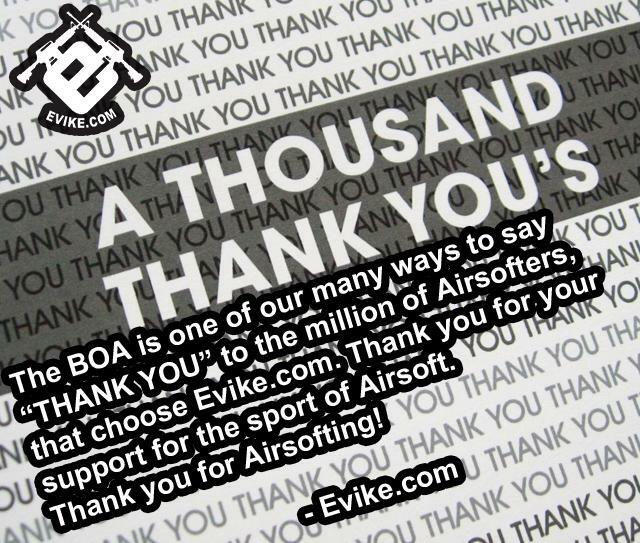 Evike.com, and the Airsoft industry would like to THANK YOU for your support! 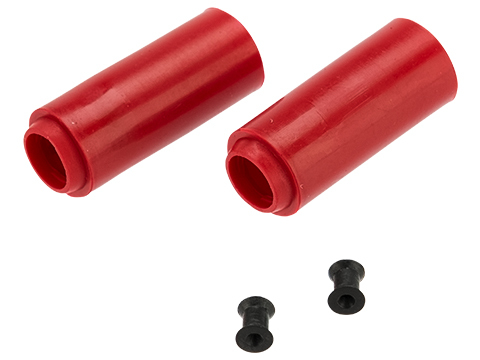 The "BEST DEAL" in the world of Airsoft! The Box Of Awesomeness is made possible by the world's largest Airsoft retailer, distributor and your favorite Airsoft manufactures! Simple math will show you that the "Box Of Awesomeness" is not your ordinary "mystery box". The B.O.A. 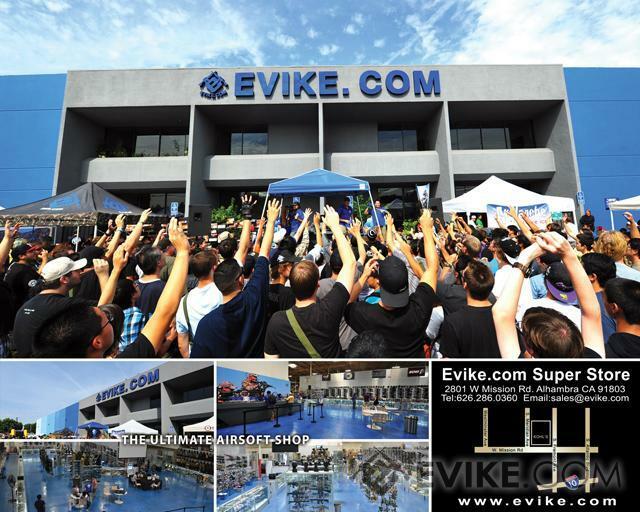 is often imitated, but never duplicated. 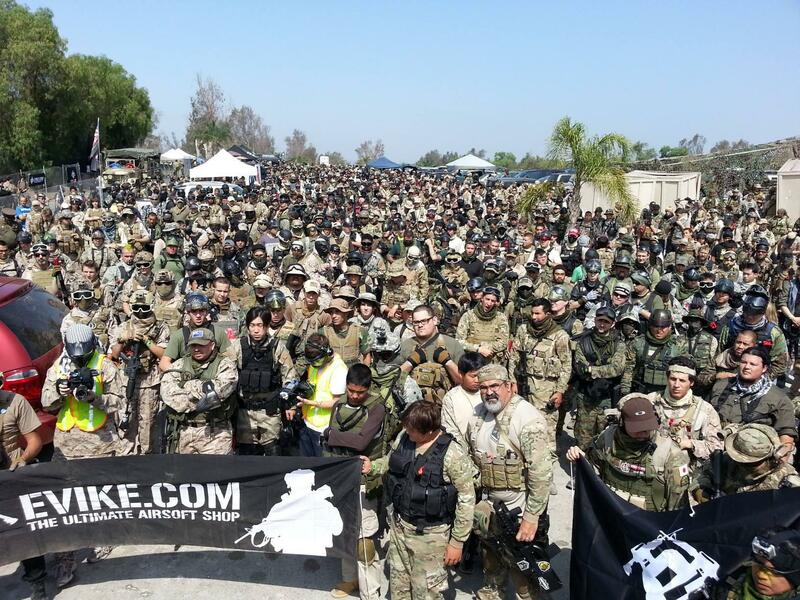 The "Box Of Awesomeness Mission" : Airsoft Better & Airsoft Right! 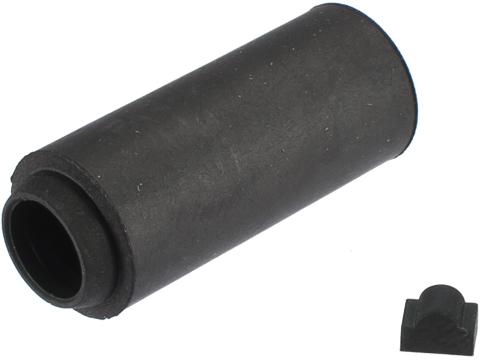 This very exciting product of the Airsoft Nation, is dedicated to making Airsoft more enjoyable for the Airsoft Nation. The B.O.A. will equip a new players to start the sport properly. For the experienced, the B.O.A. 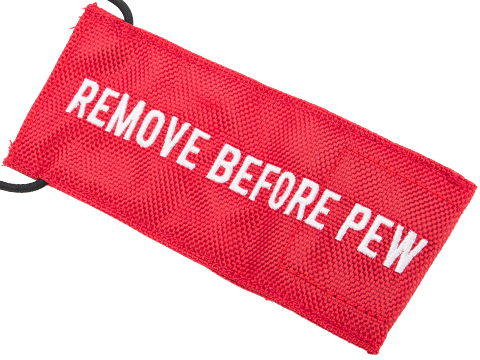 will provide an awesome primary weapon or a critical back-up weapon. Every successful buyer of the B.O.A. is made a winner! The Box of Awesomeness comes with a zero odd for any buyer to not receive a box FAR below retail cost. 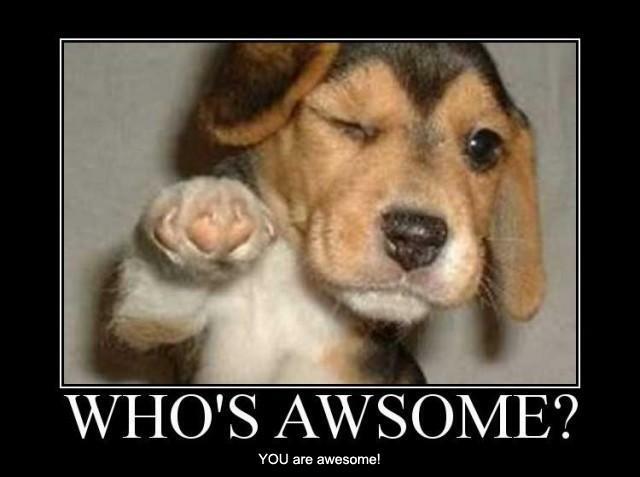 Help a friend start Airsoft with the gift of Awesomeness! Help them avoid the LPAEG phase or miss-leading marketed products by certain retailers! What is in this Edition of The B.O.A.? A Custom Hi-CAPA Gas Blowback, a full metal gas grenade launcher, a piece of Lima Victor limited edition gear and a used AEG from Evike marketing office. $185 Value / 1 winner! $400+ Value / 1 winner! $630+ Value / 1 winner! A "Coming soon October" FN Licensed FN-57 Airsoft Gas Blowback by Marushin. + An skirmish grade mystery full size metal gearbox AEG! $N/A Value / 1 winner! $190+ Value / 3 winner! An Evike.com Custom AUG H-BAR Airsoft AEG Rifle with Integrated scope and bipod. $380+ Value / 2 winner! An Evike.com USA Exclusive G&P Custom "Silver Bullet" M4 CQB Carbine with G&P High performance gearbox & Motor. $320+ Value - 2 winner! $299+ Value - 3 winners! APS Full Metal M4 URX raptor Airsoft AEG EBB Rifle with APS newest hybrid quick spring change gearbox and 5 (FIVE) spare hi-cap magazines! A 1/4lb Sample Bag (Grinded) of Evike.com Guns & Coffee with G&C Patch! Enjoy the best coffee in the world on us! Evike.com Tactical Stainless Steel Spork. Some said, the Spork will increase your tactical advantage. Some said the Spork looks like Batman. 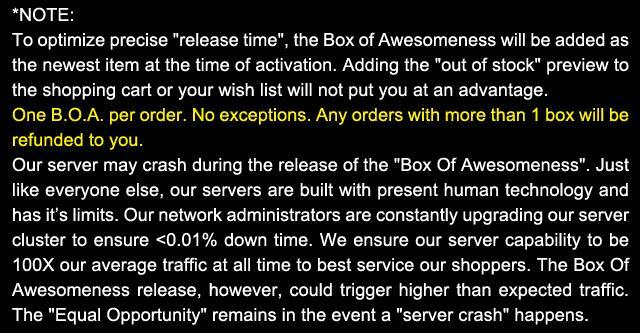 1) The "Box of Awesomeness" fan appreciation is available on a first-come-first-serve basis. 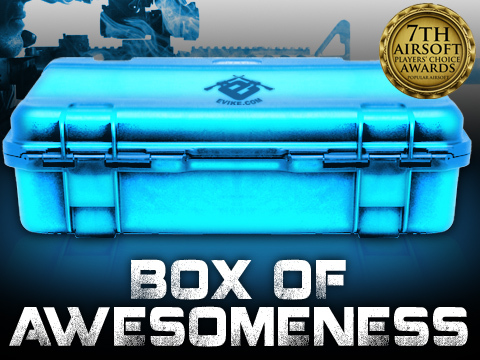 2) The "Box of Awesomeness" fan appreciation is made available at random time in limited quantities. 3) The "Box of Awesomeness" carries our full warranty. 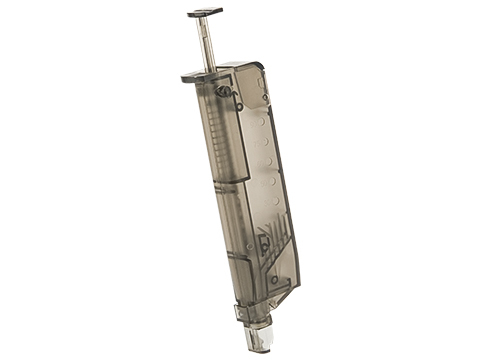 Warranty covers "Free repair" of the items received within warranty period. We cannot exchange the item you received for something you like less, or something you like more. 4) The "Box of Awesomeness" will ship in a large UPS approved shipping box; not the chrome silver gift box shown in image for visual effect. 5) The "Box of Awesomeness" and their contents cannot be exchanged or returned. All sales are final. 6) Limit one box per shopper per order. If more than one box is ordered, the payments may be refunded to you and the non-qualifying order may not be processed. All rights reserved. "This Box Was Awesome! I got the M249 MK II and the Select Fire Deagle! 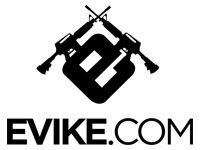 Thank You Evike! "Great value for a first time airsofter, getting a much better gun for much cheaper no matter what. So happy i got the Salient Arms GRY short barrel and I love it. Never wouldve been able to afford it otherwise. 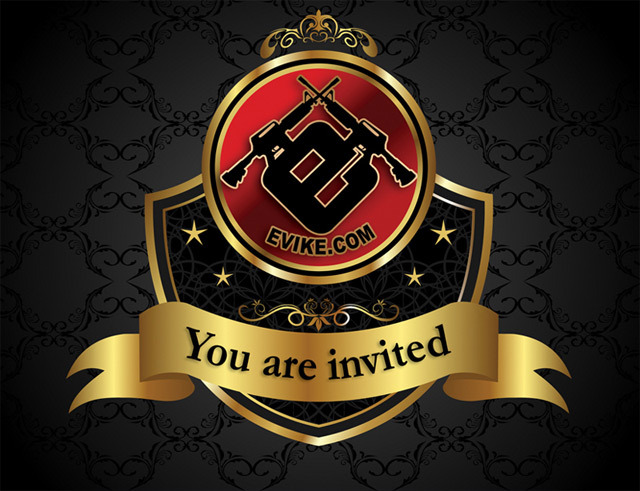 Discuss about The Box of Awesomeness (Edition: 470K Fan Celebration) with your friends and fellow Evike.com shoppers!